Michael and I got talking about stuffed French toast one afternoon after seeing a photo of a delicious-looking Nutella-and-banana-stuffed number. We got talking about all kinds of different combinations we could try, and while we’re excited about lots of the possibilities (blueberry-lemon, Nutella-banana, strawberries-and-cream), we were most excited about trying a raspberry French toast. It took us four tasty tries, but we’ve nailed it. French toast is usually hit or miss for me. I’m rather particular about it. I don’t like it to be soggy, I want plenty of flavor, and a delicious crisp crust with a tender, custard-y inside. And that’s just plain French toast, not stuffed. I thought it would be impossible to achieve the perfect texture with stuffed French toast. I was, thankfully, wrong. The keys for us were making sure we had stale bread, only dipping it in the custard mixture for a few seconds, and then cooking it in a buttered pan over medium heat till golden and perfect. Ohhhhhh it was good. And the filling–oh! the filling! Not too sweet, great raspberry flavor, and not too juicy. We mixed in raspberry jam (our favorite is Bonne Maman –it doesn’t have high fructose corn syrup and tastes almost as good as homemade) and then folded in some lightly sugared raspberries. Perfection. So, for your next big breakfast, brunch, or breakfast-for-dinner, I highly recommend this stuffed French toast. We even made a date night out of it–we put Sophie to bed, changed into our jammies, popped in one of our favorite shows and had a breakfast-in-bed date. So cozy. So romantic. So tasty. 1 loaf french bread, ends trimmed off, and cut into 5–6 sections. Make the filling by combining the cream cheese and raspberry jam. You can do this with a spatula or a hand mixer. Place raspberries in a separate bowl and sprinkle with a little bit of sugar. Make the custard by whisking together eggs, milk, vanilla, and 1/2Tbsp cinnamon. Melt butter in a large skillet over medium heat. Working in batches of 2-3 “sandwiches,” dip each sandwich in the custard mixture 3-5 seconds per side. Add immediately to the pan and cook over medium heat 2-5 minutes or until golden brown, flip over and cook 1-3 minutes more till golden. Repeat with remaining sandwiches. 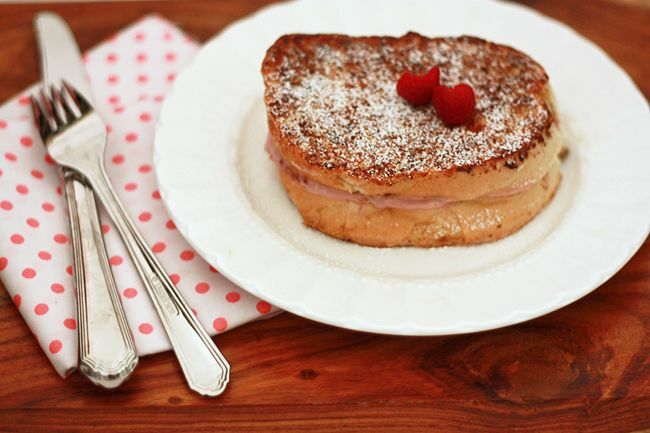 This looks like stuffed french toast perfection! I love raspberries and I’m excited you decided to start there with your stuffed french toast ideas. 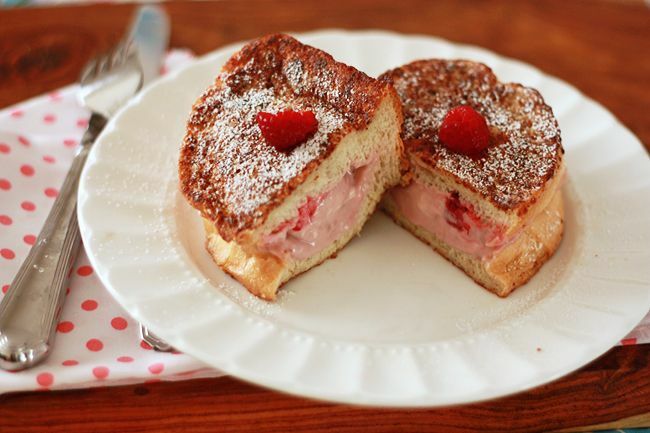 My mouth started watering from the moment I laid eyes on that beautiful raspberry french toast sandwich…. and it’s still watering. The only remedy would be to make it– too bad I don’t have a single piece of bread in the house!! 🙂 But thanks for sharing! We don’t often see French Toast in England, and on the rare occasions you do it’s often called ‘Eggy Bread’ and is a much less pretty, savoury affair. That said I have made French Toast a few times with varying degrees of success but always feel slightly underwhelmed by it. THIS however looks incredible and may be this weekends breakfast treat! PS. I wish I could take photos as lovely as yours! That looks mouth watering! 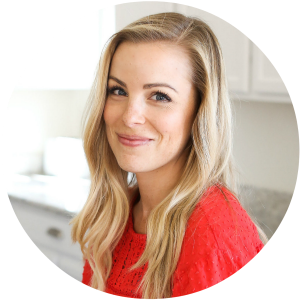 I cannot wait to try this recipe!! Oh. My. I don’t think I’ll be happy until I try that. Oh Emily! I can die and go to heaven now! 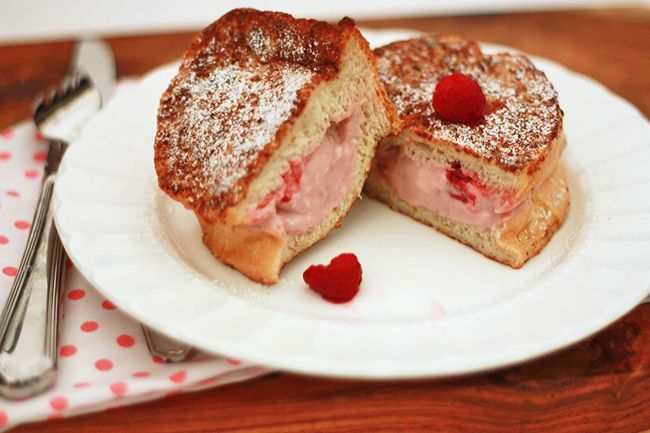 Raspberry French toast? ! it’s the perfect combination since chocolate and peanut butter got together. Yum! Can’t wait to try it out! Yum! Really like this raspberry stuffing in a French toast idea. From where I am from, we usually do French toast in a savory method. I’d certainly give this sweet version a try! In other news, after a (gulp) MONTH???! of not coming to visit, I am officially caught up on your and your precious family. I want this in my mouth right now!!! This looks fantastic, I love stuffed French toast! I’ve only had french toast once in my life (I know, weird right?) but I will definitely be having it more often now! This makes me drool just a little bit! Made me wish I had smell o vision on my computer! Your pictures are as beautiful as those kiddos of yours! Love the site! We tried this on Saturday and it was AMAZING!! Thank you! My husband adores cream cheese. And we have discovered that the extra raspberry cream cheese is great on a bagel. We have made our own Nutella version after having it at the Bellagio Buffet in Vegas. We made a sandwich with cooked french toast slices by layering on Nutella and thinly sliced bananas. But what really put it over-the-top was buttermilk syrup! It’s more like dessert, really, but as an occasional treat it’s wonderful. Thanks for the recipe and that baby of yours is just too cute!! My fiance loves french toast and rasberries, so I am planning on making this for a fathers day breakfast for him this year. He’s in for a treat. I haven’t made this one in YEARS, but I’m totally going to now that I’ve read this! Thank you! You really are in for a treat!